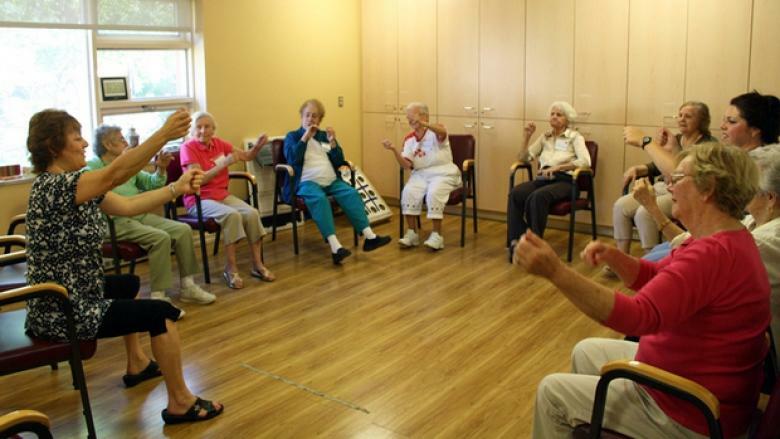 A staff member at the Alzheimer Society of Sudbury-Manitoulin leads seniors in a class called Ageless Grace. A new U.S. pact aims to accelerate genetic research that could improve treatment of Alzheimer's and three other diseases. Could the cure for Alzheimer’s be found in something as simple as boosting our brain’s own immune system? New research suggests that may just be the case. A team of neuroscientists working out of Stanford University has discovered that the key to preserving normal brain function and preventing the onset of neurodegeneration may not lie with the nerve cells of the brain as many have thought until now. Instead, it may centre on keeping immune-like cells in the brain functioning at top speeds. Called microglia, these specialized brain cells act like patrolling sentries that monitor their environment for suspicious activities and serving a number of vital functions, including neutralizing toxic debris and healing inflammation before it gets out of hand. They even neutralize invading bacteria and viruses before they can get a foothold. During the aging process, microglia activity appears to go downhill thanks to a specific protein, called EP2, that coats all cell surfaces. Now the Standford team has found – in their experiments with mice at least – that by blocking the action of this protein, it actually reinvigorates the microglia so that they can again seek out and destroy all the nerve-damaging substances it used to when the body was younger. So by clamping down on EP2, the researchers noticed that the IQ of their laboratory-based, Alzheimer-prone mice rose dramatically. It turns out that the promise of developing a specific, immune-boosting drug that targets the EP2 protein molecule may offer new hope for not only warding off the onset this mind-robbing disease, but that it may even reverse memory loss and other associated conditions. Alzheimer’s is a degenerative disease causing lesions to form in the brain. It affects a variety of mental capacities, emotions, behaviours, and even physical skills. The exact causes of the disease remains a mystery and there has been no cure. Some drugs, however, can help stabilize certain symptoms and improve the quality of life of patients. Alzheimer’s can exact a terrible psychological and financial toll on victims and their families. And the future looks sobering if nothing is done. There are currently about 747,000 dementia patients across the country. That number is expected to double to 1.4 million by 2031. If nothing is done, these numbers may even look more frightening further down the road, as the baby boom generation continues to age and balloon the over-65 population. According to a 2013 study, the consequence may become a global epidemic. The number of cases of Alzheimer’s disease in North America alone might triple in the next four decades. For Canada, this would mean as many as 2.8 million cases by 2050.